The kitchen cabinets are one of the most important features of a kitchen. The first thing you notice when you walk into the kitchen is definitely the cabinets. The kitchen is a very special place because it’s the place where people prepare everyday meals or for special occasions. When designing or renovating the interior of your home, the cabinets you choose is very important. Your choice for the cabinet will define the style of your kitchen, the amount of storage space, convenience and longevity. 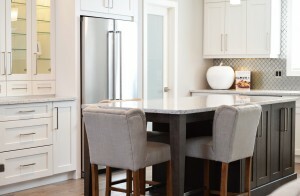 For all purposes and intents, the quality of kitchen cabinets refer to the construction techniques, the finish, craftsmanship used to design the cabinets. However, every homeowner has his or her own notion of what a good quality cabinet is. There are some things you should consider when it comes to the basics of a cabinet quality. For example, the denser and thicker materials will withstand constant use and will be also very durable. Conversely, lightweight and thin cabinets that are cheap will quickly fall apart. 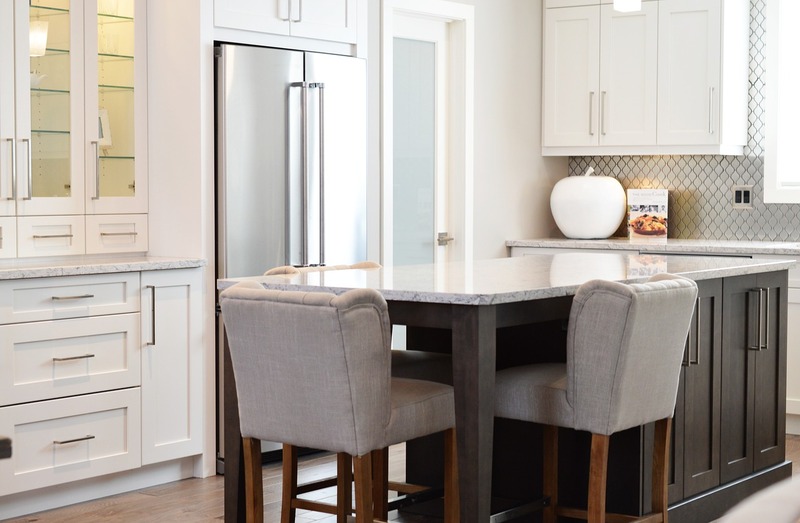 It’s not advisable to go for the cheapest cabinets because they have lower grade finishes, get stuck, and in some situation they even fall apart. Cheap kitchen cabinets are difficult to paint unless they have been designed using solid wood. The quality of the cabinet is determined by the type of the material used. Also, the way the cabinets have been put together is an important consideration. 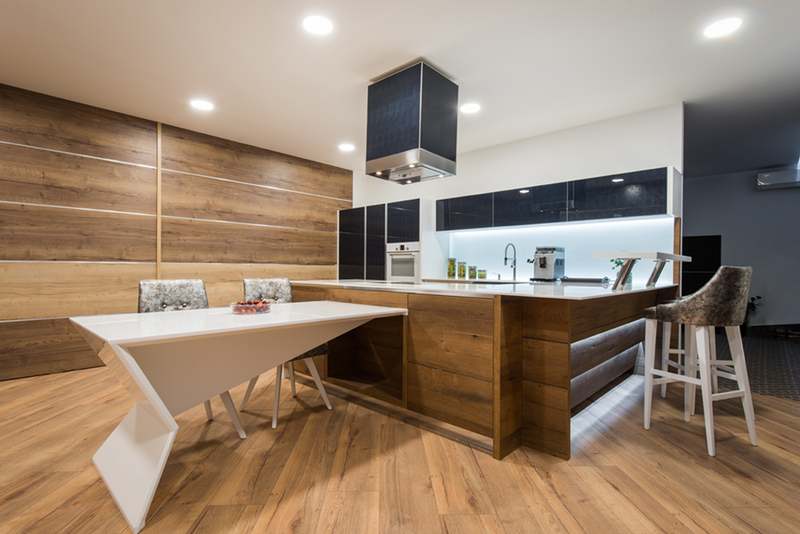 Longevity, function and durability are directly linked to the type of material used to construct the kitchen cabinet. There comes a point where you don’t want to enter into your kitchen due to gloomy dark cabinets that have sucked up all the light out of the room. In fact, you don’t have to do a general makeover, for you to get the perfect kitchen cabinets. As long as the cabinet’s doors and frames are in perfect condition, then you are good to go. You can make them new by brushing off the old paint and Alas! Your new kitchen cabinet will smile at you. The main strategy is to paint a well-placed coat on your cabinets. Keep in mind that before painting the kitchen cabinets it is advisable to remove everything on the shelves and dust them a little bit. Make sure that you have the right tools before you start the painting process. Examples of such include a screwdriver, marker, painters tape, sponge, drill, sandpaper, tack cloth, primer and a paint brush. Thorough cleaning is the most important aspect of painting your kitchen cabinets. There has to be allot of time devoted before the actual painting process starts. It is like any other simple task, but you have to master the final glassy finish in the preparation work. The process involves dusting, cleaning, and priming each surface otherwise; the final coat would not look as appealing as you thought. Besides, the greasy fingertips and cooking splatters can inhibit paint adhesion. You can remove the greasy substance with a degreaser. You might apply a couple of it for a perfect job. After that, you will need rough sandpaper to rough up the surface. To get the smooth and fine surface, you might be required to use a sandpaper primer such as a Eurolax. Keep all drawers and windows flat by drilling the screws gently. Also, don’t forget to label each cabinet, since it will be easier for you to spot the position. You can label either by using the marker or a by placing the painter’s tape. If you are planning to replace the knobs with new ones, Fill the old holes with wood filler and drill new ones. Sand the wood and the dust off using the brush attachment. As you paint the cabinets, remember to tape off the cabinet shelves edges by using a painters tape. Paint the interior surface and let them dry. Later, paint the drawers, doors and cabinet frames. All colors should contrast easily. Let them dry for a while and then reinstall them to their space. There is something amazing about the fresh air and warmth when you wake up in the morning. You should have the same feeling when you open your kitchen cabinets. The cabinet should announce that everything is clean and new. It can be in any color that you want, design or even your style. If you don’t want your kitchen to be a boring and a yawn-induced affair, then the following kitchen painting ideas can help you to create a soothing and stylish environment. First, think about your favorite color. Will it compliment with your kitchen alliteration? If yes, then you should go ahead with the painting process. Typically, there is no any color that is better in creating contrast. For instance, think about the black color. If the countertops and walls have lighter shades; black painted kitchen cabinets will be the best choice for you. If black is not in your card, consider a warm brown or beige color. The above versatile colors can perfectly match with the kitchen countertops, floors or a black tile. By choosing various colors of grays, it tends to add the state line and sophistication to any chosen style of painted kitchen cabinet. If it doesn’t seem like a perfect color for you, then mixing different varieties of painting will be the best decision to make. For instance, you can decide to paint blue in the upper case of the cabinets and yellow on the lowercase of each cabinet. Both methods tend to have their merits and demerits. For instance, when you use a spray method, it will give you a cleaner, professional and smoother appearance hence brush strokes will not be seen. However, the method tends to take allot of time regarding buying a paint sprayer and learning to work with it. If you chose to use this method, it is advisable to cover the single aspects of your kitchen thus preventing spray particles from unintended surfaces. For decent cabinet designs, paint brush will be the perfect choice of painting equipment to choose. It is an easy method hence you don’t have to have any learning process. The only trick is that you have to use a sanding method that involves giving a smoother overall finishing.